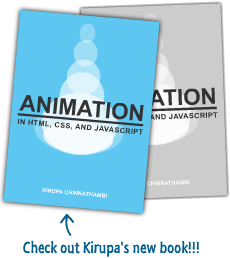 This effect will allow you to animate text using actionscript. It takes less work than tweening and will drop your load time. Before we start, you must have a decent knowledge of manipulating movie clips, and a basic knowledge of actionscript. Since this effect animates the text using actionscript there will be quite a bit of actionscript involved, but I will explain each line at the end of the tutorial. To download the partial source, click here. If you downloaded the partial source, read through steps 1, 2, and 3, but you do not have to do them because they are already done for you, but you do need to know how to do them to achieve the effect, when you duplicate this effect on your own. To start you must create a dynamic text box (it doesn’t have to be very large, and give it the variable name “text”. You must also chose to include the entire font outline by pressing the button in the bottom right hand corner. Once you have created the text box, select it and press F8 to convert it to a Movie Clip. You can name it whatever you like, but give the clip the instance name of “mcLetter”. This will make the scripting go much easier. Select “mcLetter” and press F8 again to convert this into another Movie Clip, so that you will end up with a text box inside of a Movie Clip, inside of a Movie Clip. Again, name this Movie Clip whatever you like, but for scripting purposes give it the instance name “char”. In this step we are going to do the animation for the letters. At this point you should be at the main stage and you should see the movie clip that you named “char”. Right-click on this movie clip and select edit. Here you can manipulate the movie clip named “mcLetter” to make whatever effect you like for your text using motion tweens. Once you are finished with this you must insert a layer (go to Insert > Layer in the top menu bar). In this new layer insert a keyframe, press F6, in the frame where your animation of the text ends. In the timeline, on the same layer as step 5, insert another keyframe. For the sake of organization I chose frame 3, it could be any frame. Open up the actions panel and insert the code following this step. This bit of code duplicates the movie clip “char” repeatedly to display the text you want. Again, in the timeline insert a new keyframe. I chose frame 5, but it can be any frame as long as it is after the frame that contains the code in frame 3. If you changed the distance between these frames then you will change the frequency of the movie clips. Insert the following code into the actions panel of whichever frame you choose. text : this variable defines the text that you want to display. nLLength = 35 : defines the number of characters that you want in a single line, and is used with the next variable to perform the carriage return. nChars = 0 : Used to determine the number of characters in each line, and perform the carriage return. nLNumber = 1 : Used to determine which line of text you are on. This bit of code is and if statement that checks to see if nChars is greater than the maximum line length and if it is, then it creates a variable “nReturn” and if nReturn is equal to a space then, it performs the carriage return, and skips to the next line. substr is a substring; the ii-1 tells the movie clip to display the character ii-1 from the variable text, and the 1 is the number of characters to include in the display. That’s pretty much all there is to this effect. There are a lot of different ways to modify this, and the limit is basically your imagination. If you have any questions feel free to e-mail me or post on Kirupa.com’s Message Boards.